We recently finished up a review of 2D shapes. I spent a bit of time searching YouTube for shape videos to use in our lessons. Thankfully, I found quite a few! The videos below are my favorite. I love sharing them with you because I hope to save you the time of searching for them yourself. 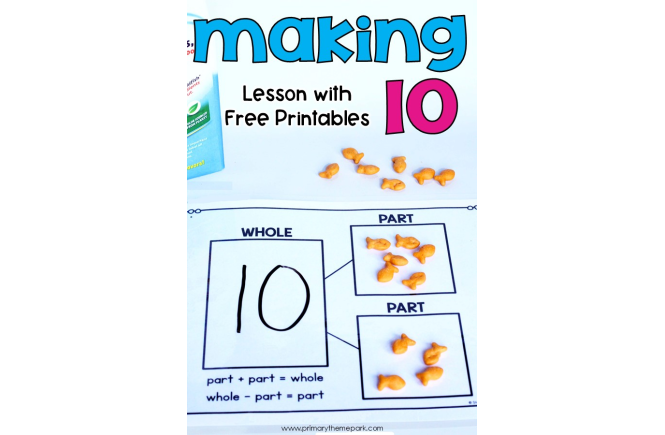 Use them to introduce or review shapes, as a math center, for early finishers, or just for fun! 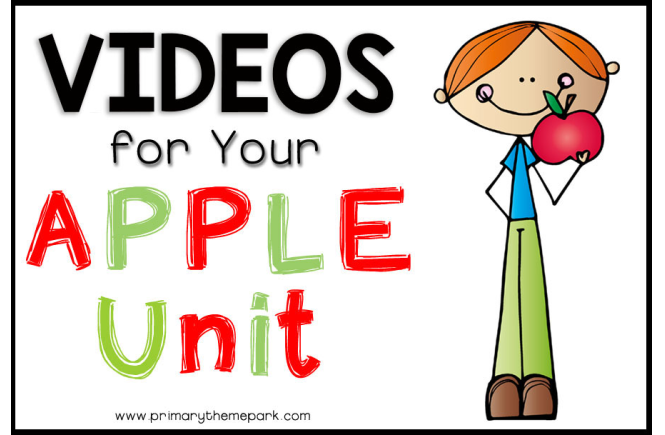 This video is perfect for a brain break! It gets students up and moving, drawing shapes with their hands. The song focuses on a circle, square, rectangle, triangle, and an oval. It also incorporates how many straight sides each shape has. 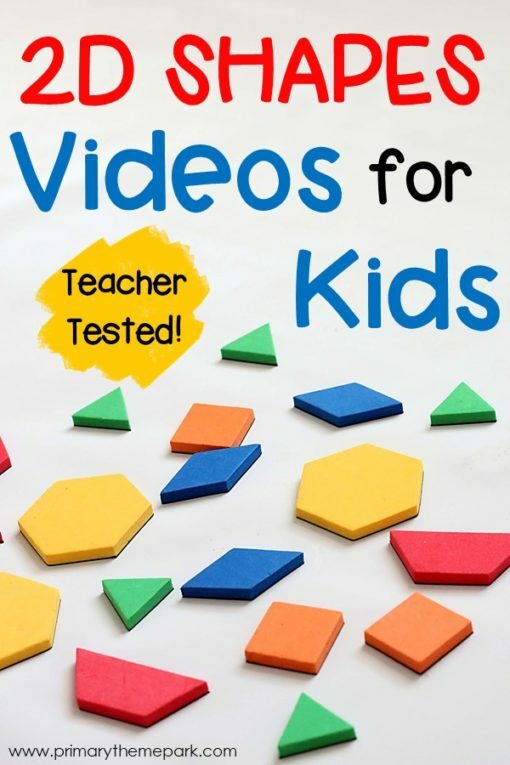 Here’s another video that gets your students moving as they review 2D shapes. Students do exercises like jumping jacks with a triangle, hopping with a square, and touching their toes with a pentagon. 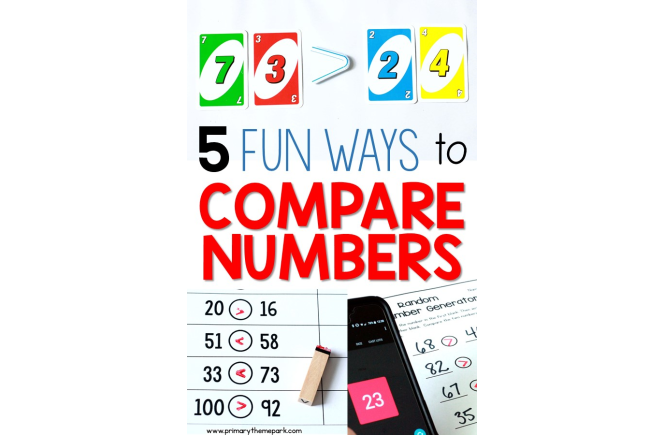 Play this video for a brain break or maybe even for indoor recess! Use this video to introduce or reinforce the concept of the number of sides and corners shapes have. First, it explains how to find the sides and corners of shapes. Then, it counts the sides and corners of these shapes: triangle, square, rectangle, pentagon, hexagon, heptagon, and octagon. 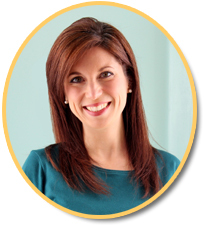 I love Harry Kindergarten and your students are going to LOVE this video! Students act like secret agents and find shapes around the room. They look for a circle, rectangle, square, triangle, diamond, and oval. This is the cutest story! Using triangles, this video teaches the difference between distinguishing (sides, corners) and non-distinguishing (size, color, orientation) characteristics of shapes. Here are several videos that only focus on one shape. They make a great introduction or review of a specific shape. I had to list this one first because I’m just smitten with Words with Puffballs. I found them while I was searching for shape videos. They only have two videos about shapes but I hope they make more! I’m a huge fan of StoryBots. They make some of the best educational videos for kids. They have several of them about specific shapes. I think your students will love them! You might have four students get together to make a hexagon like this video. Students might enjoy making other shapes, too! I collected all of these videos, plus many more, into a YouTube playlist. 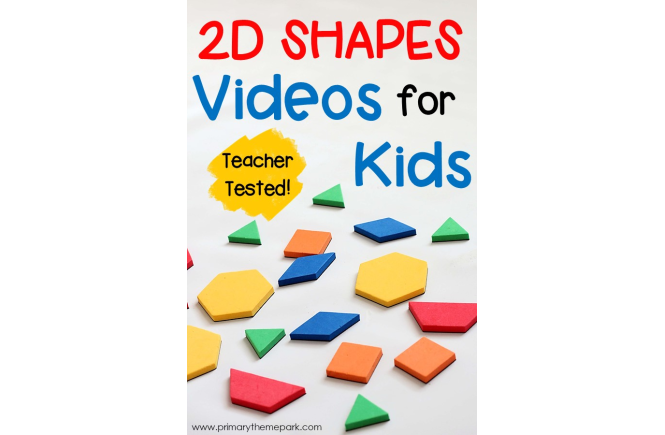 Click the link below for over 30 videos about 2D Shapes. I hope you’ll find many that your students enjoy!